"BE ACTIVE, LIVE ACTIVE, and STAY ACTIVE"
some of Solana Beach's best Chiropractors. Located in Solana Beach at 538 Stevens Ave Solana Beach, CA 92075, and serving all of San Diego. As the top sports Chiropractor for professional athletes including the Sockers and the Actions Sports world being heavily involved in X-Games and X-Games World Tour traveling to Barcelona, Munich, L.A. and Austin. He also works with The San Diego Sockers Professional Arena Soccer team (14x champs). Dr. Corey Lichtman is dedicated to helping you achieve your health, sports and active wellness objectives -- combining skill and expertise that spans the entire chiropractic sports and wellness spectrum. Dr. Corey Lichtman is committed to bringing you better health and a better way of life by teaching and practicing the true principles of chiropractic sports and wellness care. To schedule with Dr. Corey in Solana Beach, please call 858-876-6300. Patients seeking treatment with Dr. Corey Lichtman are assured of receiving only the finest quality care through the use of modern chiropractic equipment and technology. Dr. Corey Lichtman and the staff have a genuine concern for your well-being! Dr. Corey is the official Team Chiropractor and Coordinator of the San Diego Sockers Professional Arena Soccer and is proud to be part of the winning tradition entering 7th season back. Did you know? 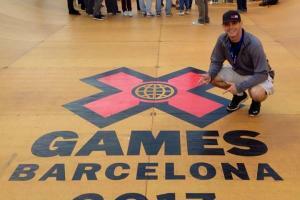 Dr. Corey works with Professional Skateboarders and BMX riders with the X-Games World Tour in Barcelona, Munich, LA and Austin. He has been the team Chiropractor/Coordinator for 5 National Championship Teams! 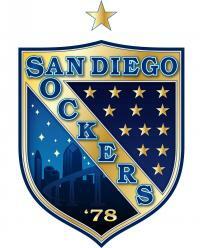 2 Semi-professional and 2 Professional, including the San Diego Sockers Indoor soccer. If you are new to our website, please feel free to discover and learn about chiropractic sports, fitness and wellness. If you are interested in starting your journey towards wellness please subscribe to our award winning newsletter. If you are already a newsletter subscriber, please explore the member wellness section of our website for wellness articles, resources, and health facts---specifically targeted by Dr. Corey Lichtman to your wellness needs and interests. Check back often as we add new material all the time! "Dr. Corey Lichtman is great. Being a football player and all I get dinged up a little. My shoulder, my ankle, my hamstrings.... Whatever case of injury on the field, Dr. Lichtman has made it a possibility each week for me to compete mentally and physically." 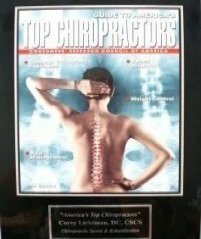 "I have been to several Chiropractors over the years, and Dr. Corey Lichtman is by far the most excellent I have come across. After years of neck and back pain, I feel that I have finally been properly diagnosed. The variety of treatments I receive from Dr. Corey is definitely helping my pain dissipate. He is also using the Fenzian Treatment System to promote healing of an old surgery scar. I unwaveringly recommend Dr. Corey's services if you suffer from neck and /or back pain."